StormFest | Badass Concert | Heavy Metal Music News | So METAL, we piss RUST! It's happening again. 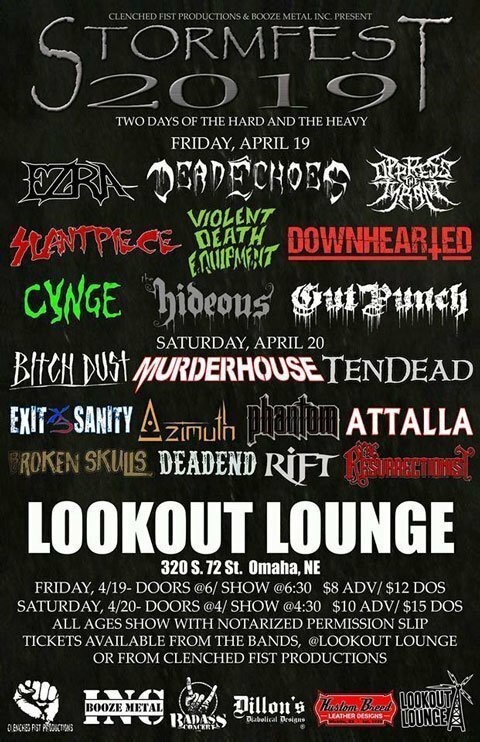 The 8th annual STORMFEST will be taking place at Lookout Lounge, Friday, April 19th, and Saturday, April 20th. Two days full of local and regional hard-hitting Rock and Metal. 9 bands Friday night, 11 on Saturday. The show is all ages, under 18 MUST HAVE A NOTARIZED PERMISSION SLIP TO ATTEND.